They are clear favourites to win automatic promotion and make a immediate return to the topflight after getting relegated last term. It does not look like anyone will catch them in the last 10 matches. Owen da Gama’s men currently have an eight-point lead at the summit, with the most goals (32 scored) and the best defence in the league (nine conceded). They’ve got Jomo Cosmos, Uthongathi FC, Witbank Spurs, Mbombela United and Tshakuma Tsha Madzivhandila coming up on their schedule. They’ve got what it takes to wrap up automatic promotion in these next five matches. Their first season in the NFD has been nothing short of great. With Sello Chokoe at the helm, TTM have done extremely well to get themselves into second place on the standings after 20 rounds of football. They’ve made a good start to 2018, beating Tuks, Spurs and Stellenbosch. They are on a high and have shown that they can compete against anyone. Not many would have expected Kings to challenge for promotion, but they are very much in the race, currently in third place on 32 points, nine behind the leaders Highlands. Despite their 2-1 defeat to Spurs over the weekend, Kings went on a six-match unbeaten run which put them in a good position to win promotion. They cannot be ruled out of qualifying for the play-offs. 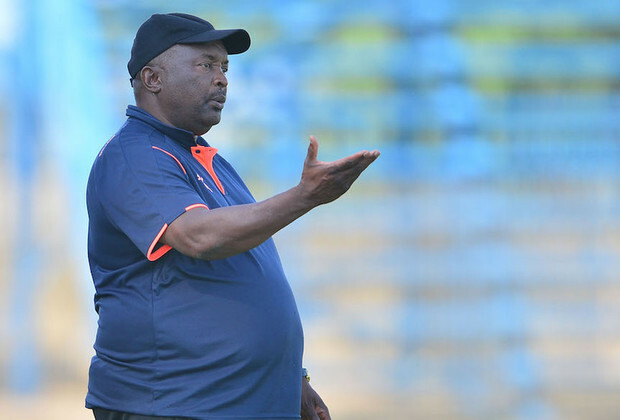 Owner and coach Jomo Sono made the strange decision to sell Linda Mntambo and Mxolisi Macuphu to Chippa United. They are yet to win a game in 2018, but Ezenkosi have shown in previous NFD seasons that they have the ability to bounce back after difficult periods. Sono has experience of winning promotion and will no doubt motivate his players to get the job done. One win could turn things around for the side. With coach Shaun Barlett at the helm, Tuks have someone who knows what it takes to win promotion, having previously done so with Golden Arrows. Tuks registered their first win of 2018 when they beat Jomo Cosmos over the weekend and this will give them loads of confidence in the final 10 matches of the season. It’s been a difficult campaign for the rookies who are bottom of the table on 17 points. Tough matches against Stellenbosch, Tuks, fellow relegation candidates Mthatha Bucks and Jomo Cosmos await in the next few weeks. They are not likely to get out trouble by the end of the season. It’s been a season to forget to Bucks, with 10 defeats in 20 matches. Bucks have the second worst defence in the league after Royal Eagles, conceding 31 times. One win in five matches in 2018 shows just how difficult the last few months of the season is going to be for the Eastern Cape-based club. They are unlikely to survive. After narrowly missing out on the play-offs, Eagles have had a disastrous campaign this time round. They’ve done well to score 32 goals, but they’ve conceded 37 goals which has been a problem for them. Eagles, who are just two points ahead of bottom side Ubuntu, need to start winning their home matches if they want to survive, starting with Uthongathi this weekend. Not even the arrival of coach Kosta Papic has inspired them.